Very few people know this about me, but I love to write. I may not be the best at it, in fact, I may not be very good at all but that has little to do with the fact that I enjoy doing it. On the other hand, quite a few people do know that I love raising animals and simple living. Ever since I was a little girl I wanted to be a farmer. I would spend summers on my grandparent’s farm with my cousins. I loved seeing the animals, playing in the barns and swimming in the pool. I remember loving the aroma only a cow can leave behind and still today I don’t mind it. Hey, don’t judge. 🙂 I always knew someday I would have animals of my own. Fast forward about 30 years. Handy Man Hubby and I finally made the move to the country with our 4 young boys. We were so excited to begin our new adventure away from the suburbs. We spent the first few years getting a life established in our small tight-knit town. Soon though I was ready to begin my dream of owning a farm so we broke ground on our first garden. I really had no idea what I was doing, so I took book after book out of the library. I read a lot, took quite a few notes and made a million mistakes those first years. I knew nothing of soil prep, pest control or canning. I learned by making mistakes which, let me tell you, is not the most productive way to learn. I kept stumbling along trying my hand at raising some of our food when we decided to add pigs to the mix. Again I went back to the cycle of books, reading and not- taking. It was a tedious process and I wished there was an easier way. Making mistakes while gardening is one thing, but when you are raising animals mistakes can come at a higher price. I then began to scour the internet and I was immediately overwhelmed at the amount of information that was out there. There was an enormous amount of information on gardening, farming, and simple living and I think I read almost all of it. I had to jump from site to site trying to understand the lingo of experienced homesteaders. All that time researching I was never able to find a place that focused on those just starting out. I had so many questions and I longed for a place to go that answered them in a beginner’s language. Finally, a few years ago I got the idea to start a blog of my own. A place just for those starting out in their homesteading journey. I am finally living the life I had always dreamed of and I wanted so much to help others do the same. I found a free blog service and set up my site. I was eager and excited, but again I had no clue what I was doing and nowhere to find the guidance I needed. Not surprisingly I quickly failed that first attempt and left that goal on the back burner. Fast forward (again) to November 2015. One day I stumbled across Ruth Soukup and I just LOVED her blog Living Well, Spending Less. On her site, she wrote about her blogging academy called Elite Blog Academy and I was immediately excited. I did as much research as I could and talked to Handy Man. Since EBA is not cheap, we knew we needed to discuss this option and run our numbers. Handy Man is my biggest supporter and he quickly agreed that this was something I could do. In February of 2016 I took the leap and joined EBA and never looked back. You can read my review on EBA here! Those first months were hard, really hard. But I quickly found a support system of close blogging friends who I still talk to every day. We are all now successful in our own niche’s. We bounce ideas off of each other, applaud success, console failures and support each other through it all. Without them and EBA, I would not be where I am today. Every morning I am so excited to get out of bed and start my day. Not only am I living my dream of being a homesteader but I am now teaching others to do the same. Never in a million years did I think I would make a living writing about how to farm, declutter and live a simple lifestyle, yet here I am doing it and loving every minute! If you take anything away from this very long story I hope it’s the lesson on how to go for what makes you happy. No matter what your dreams are there is something you can do every day to take a step closer to achieving them. Lists, goals, a support group and a desire to be happy are all ingredients to making your dreams a reality. Do you have a story to share, a product to sell or a desire to just be out there in the blogging world? If so, I am so happy you are here. With anything, it is so helpful to find a place that will walk you through the steps in a simple and easy to understand way. I did quite a bit of back-tracking and fixing things in the beginning and I hope to save you some of that grief and work. And as always, I will answer any and all questions you may have. Just know you can email me anytime. If I don’t know the answer, I will find someone who does. Like I said before, I have a great group of friends and we each have our own area of expertise. So, are you ready to do this? Are you ready to teach others what you know? 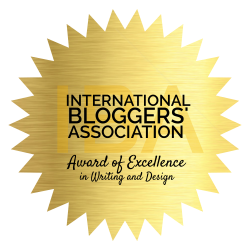 Are you ready to get out there in the exciting world of blogging? Think about it…you can stay home, make money and live the life you always wanted!! Looking for more? 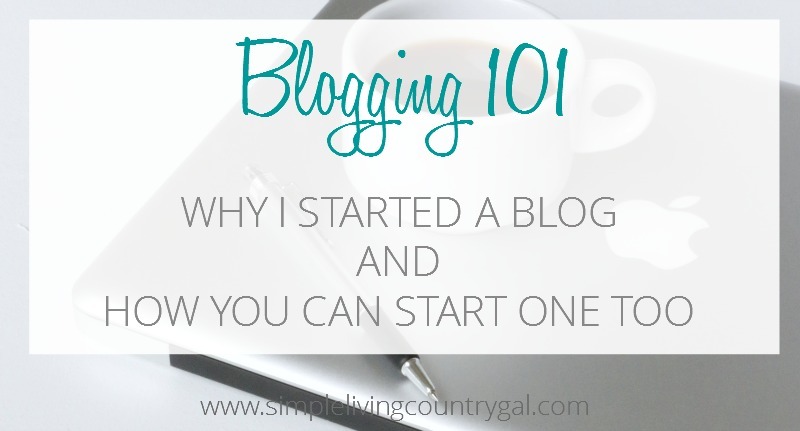 You can find all of my Blogging 101 posts here!